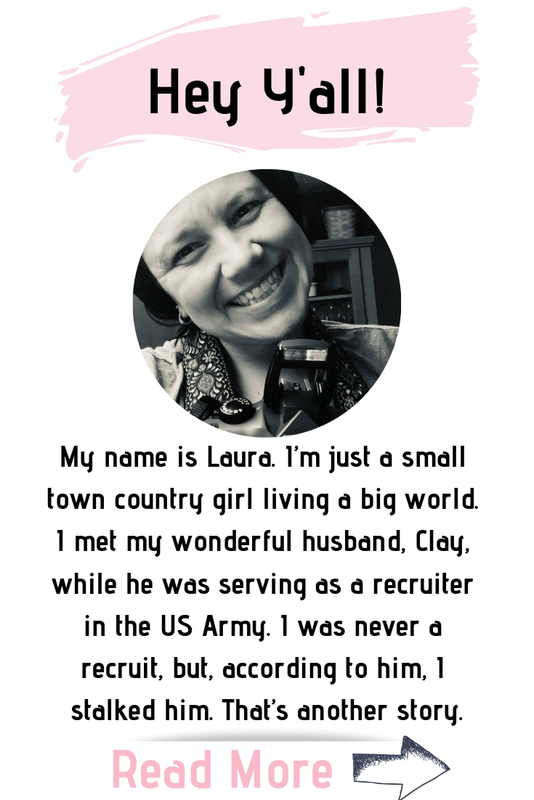 Welcome to the fourth and final installment of my “Soldier to Civilian” transition story. Again, thank you all for taking time out of your busy schedules to read this series. I truly appreciate the comments as well. In case you missed the first three parts of this series, you can read them HERE, HERE and HERE. The interview process for a job is nerve-racking. What happened to completing an employment application and getting a call a few days later with a start date? All this online application and requirement to post a resume is a headache, to say the least. By the time I finish an online application, I’m not sure I want the job anymore. Then when I get passed over for the position, I feel as though I wasted all that time filling out the 40 pages of information. My first interview was with a security company. The interview went rather well. So well, in fact, that I was offered the position on the spot. Unfortunately, the starting pay was only $8.93 per hour. I’m not sitting on a pedestal looking down my nose at that pay rate, but come on, $8.93? My responsibilities included security checks, personnel checks, checking identification badges, security reports and miscellaneous administrative work. I have over 20 years of experience with all these responsibilities. Initially, I accepted the job. I was told that the head office would call me in approximately 5 days to schedule the mandatory training and issue me uniforms. Five days turned into two weeks. I called them a couple of times, but those calls went unanswered. I felt this was God’s way of telling me not to take the position. When my would-be manager called me to apologize for the delay in training, I told him that I decided not to take the position. I told him that I appreciated the opportunities, but I also had a family to support. My next interview was with a home improvement store. In fact, my next two interviews were with the same home improvement store in two separate cities. Both interviews went well and I was offered the position at both locations. The store closest to me was a seasonal position while the one 25 minutes away was full-time. Both positions paid the same. After talking to my wife, we decided to stick with the seasonal position due to the close proximity and it would also allow me time to watch the boys play baseball as well as conduct other interviews. I had a few more interviews along the way. Some employment opportunities seemed promising, while others were not what I had expected. The interview questions were pretty much the same. I was asked the “What would you do if…. ?” and “How did you handle a situation…..” All my experiences were from my time in the Army. How was I expected to answer a question without telling about an experience with a Soldier? The questions were somewhat difficult because I didn’t deal with customers on a regular basis. I didn’t worry about making a co-worker angry or upset because I was the guy in charge. Trying to describe a situation was harder than I had expected. I thought I was off to a great start. My first three interviews resulted in three job offers. How hard could this really be? My luck came to a screeching halt. All the promising jobs resulted in emails that read, “Thank you for applying, but we have decided to explore other candidates.” I could feel time slipping away. I was rushing to find a job with benefits that paid well enough to support my family. Finally I landed an interview with a telecommunications company. This company provides cable television and internet to many of you reading this post. I passed all the technical assessments and the interviews went well. The pay didn’t start out that great, but there were other perks that would counter the salary. I would drive the company vehicle to and from work, which would also save on gas money. I would be able to get their services for free as an employee. My sights were set on this career opportunity. There was no reason for me to look for employment elsewhere. This was the job I wanted. I knew this job was mine for the taking. I had over 20 years of experience doing what they do. I was a shoe-in! I decided to try one last telecommunications company while waiting for my official job offer from the first. More assessments and more interviews. Unfortunately, this job was about 37 miles from my house compared to the 15 miles offered by the first. During the interview process, my heart just wasn’t in this company. I didn’t want to drive that far. The other company peaked my interest and I had developed tunnel vision. The employees conducting the interviews must have seen that I wasn’t focused. Next was the game I had grown accustomed to over the years – the “hurry up and wait” game. I continued working as a seasonal employee at the home improvement store while waiting for an email or phone call from the first communications company I interviewed. Then I received that dreaded email. The company I longed to work for sent an email that read, “We have decided to explore other candidates.” My heart sank. My motivation was gone. I worried how I was gong to support my family. I worried how to feed my kids. Disappointed doesn’t begin to explain how I felt. It was time to go back to the drawing board and continue applying for positions. The very next day I received a phone call from the second communications company I interviewed for. It was an official job offer. I had no desire to work for this company. I asked God why He would allow this to happen. It was adding insult to injury. Why should I even entertain this? As the lady continued to explain the job, I tuned out. I was ready to say, “No thank you.” Then she told me my starting salary. I felt the weight of the world being lifted off my shoulders. All praise and glory are to God. Currently, I am in my 3rd week of training. 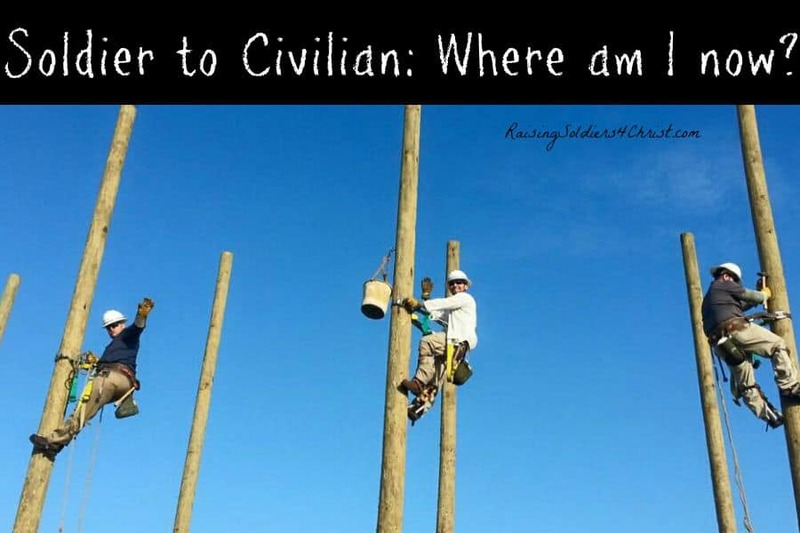 So far I have gaffed a pole (climbed a telephone pole with spikes) and learned about the different aspects of safety within the company. I am excited to see where this opportunity takes me. Please don’t misinterpret my concerns with the pay offered by the various companies. Honestly, I really didn’t care what my salary would be as long as the job was satisfying to me. I was beginning a fresh start and looked forward to spending time with my family. My wife and I are very frugal with money and always put God first. I also understood that I had a family to support. God called me to be a provider to my family and by the sweat of my brow I am to provide. Regardless of the pay, the job is what I wanted to be most satisfied with. Fortunately, the two came together and ultimately God did what God promised. If you are currently transitioning or are seeking employment, don’t give up. Keep applying for positions and don’t be afraid to accept one. Above all, keep God in your decisions! Also, do not settle! If you are a transitioning service member with an Honorable Discharge, you are an asset to any company! There are resources out here for you to take advantage of. Very well-respected people are waiting to help you with your resume, cover sheets, interview tips, and various strategies to land the job. If you need assistance or need pointed in the right direction, please do not hesitate to contact me. I am more than happy to share some of the resources offered to me that will also help you. Send me your email address and I’ll send you what I have.